New technology is expected to reduce traffic congestion. CARS could be allowed to run red lights and roll past stop signs in the future if authorities give the go ahead to new automated technology being trialled in the United Kingdom. Ford has begun trialling what it calls Intersection Priority Management (IPM) technology at Milton Keynes in the United Kingdom. The traffic busting tech would enable cars to dance through intersections without stopping, either slowing down or speeding up to avoid other cars in a process Ford describes as "choreographing connected cars". Ford's trial cars are equipped with a number of sensors and communication devices. The study - which is part of the UK funded Autodrive program - is attempting to emulate the movement of pedestrians and how they negotiate through busy crowds. The technology is a crucial step towards driverless cars that can connect with other vehicles on the road and communicate actions to avoid incidents. Ford envisages the future tech reducing traffic by improving the flow of vehicles, with the added benefit of lowering response times for emergency services. "We know that intersections and traffic lights can be a real bugbear for many drivers," says Christian Ress, a member of Ford's driver assist technologies team. "With the connected car technology we have been demonstrating this week, we envisage a world where vehicles are more aware of each other and their environment, enabling intelligent co-operation and collaboration on the roads - and around junctions." Ford's test vehicles use a range of communication technologies and sensors to broadcast the vehicle's location, direction and speed to work out the optimum speeds it needs to travel to avoid coming to a halt at an intersection. Ford's connected car trial will allow cars to enter intersections without stopping. 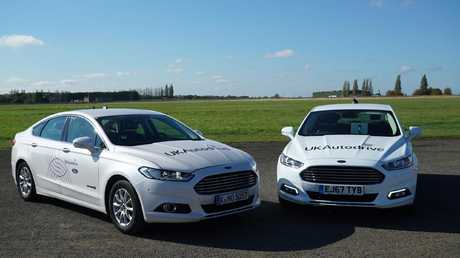 Ford, as part of its connected car research, is also testing technology in Germany in conjunction with Vodafone that can alert drivers to nearby accidents with the purpose of allowing drivers to create "emergency corridors" for emergency services before they approach - effectively acting as a precursor to the siren call. Volkswagen has partnered with German tech company Siemens to develop connected car technology in its hometown of Wolfsburg. The technology being trialled in live traffic conditions would communicate with traffic management services to ascertain when all the traffic lights ahead are green and alert the driver so that they can avoid unnecessary braking or acceleration. Eventually Volkswagen imagines that this kind of technology would be controlled by autonomous vehicles. 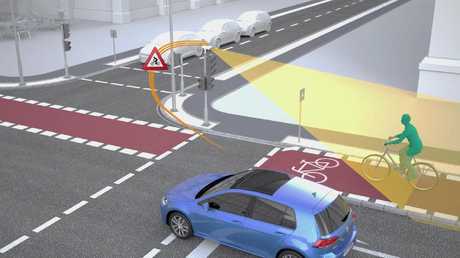 Volkswagen and Siemens have equipped crossroads with sensors to detect pedestrians and cyclists. Volkswagen has also equipped crossroads along the green light test route with radar to detect pedestrians and cyclists to warn drivers of the upcoming hazards. "Crossroads equipped with radar sensor technology are able to significantly increase accuracy in the detection of pedestrians and cyclists," says Manfred Fuhg, Siemens head of mobility. 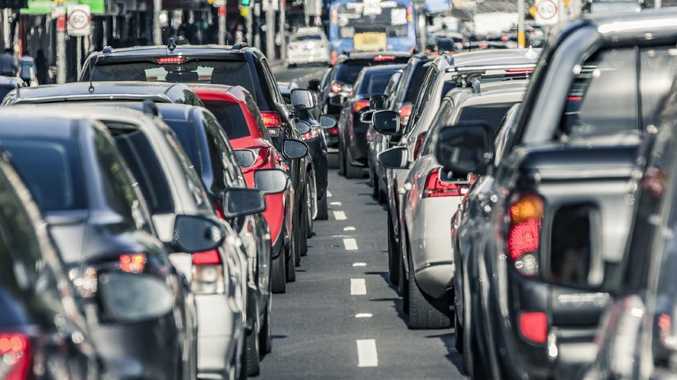 "Information that vehicles are not able to detect themselves is provided at complex intersections and accident black spots in particular," he says. Volkswagen and Siemens believe that the sensor data which is transmitted over a wireless network specific to connected cars is both more secure and accurate than other similar current technology. "Unlike the relatively inaccurate position data of a smartphone, the use of sensors analogous to the vehicle offers highly accurate data for a critical area," says Gunnar Koether head of vehicle safety at Volkswagen.